This social sciences research institute, which is housed in a historic villa, has a past of more than half a century. Tradition, stability and, at the same time, adjustment to a world that is in constant change – these characterise the history of our criminological research institute. Tempora mutantur… The changes in the name of the Institute in the course of history indicate changing times and the changing perspectives of research. Our research institute was established in 1960 as the National Institute of Criminalistics (OkrI) and in 1971 it took up the name of National Institute of Criminology and Criminalistics (OKKrI), which shows that the prevailing ideology did not regard criminology as a “bourgeois pseudo-science” any more. And, as a final step in this circle, it has had the name of the National Institute of Criminology (OKRI) since 1999, dropping the word “criminalistics” owing to a change in its profile. The institute was under the supervision of the chief prosecutor when it was founded and in our days it works as an academic, research and training organ of the Chief Prosecutor’s Office. The tasks of the institute include researching crime, developing the theory and practice of criminology and criminalistics and the disciplines of penal law and facilitating the exploitation of the research findings. In the first three decades the “founding director”, József Gödöny, was the head of the Institute until he retired in 1991. He founded and edited the annual academic periodical of the Institute, titled Studies in Criminology and Criminalistics (which is published now as Studies in Criminology) and the series of monographs titled the Academic Publications of OKKrI, as well as a series intended for internal use by the law enforcement and penal judiciary authorities with the title OKKrI Informative Publications. The Institute established a wide range of international relations considering the opportunities available at the time, first of all with the “sister institutions” of the other socialist countries but with research institutes of the western world and the criminal organs of the UN as well. Under his leadership the Institute became the greatest criminal research institute in Hungary and achieved significant results, not only in the fields of criminology and criminalistics but in other fields of criminal sciences as well. The change of regime in 1990 had an impact on both the development and study of crime. József Gödöny was followed by László Pusztai as the director of the Institute but, sadly, for a short period only, until his tragic death in January 1996. In this period the Institute became more open and its international relationships became more active. At the time of his leadership, which lasted somewhat less than five years, the surge of crime in Hungary posed a serious challenge for research into crime. Proof of Pusztai’s recognition as a crime expert was that he became the first president of the National Crime Prevention Council, set up in 1995. At this time the Institute took an important role in forming the concepts of criminal prevention in Hungary. In this period two international conferences were organised in the OKKrI; the development and the discussion of the concept of criminal policy took place and work on the National Crime Prevention Programme was also launched. After László Pusztai’s death Ferenc Irk took over the job of directing research in the Institution for a decade. Under his leadership young people joined the research staff and the professional composition of it was changed. Before that, nearly all of the researchers were law graduates – in conformity with the expectations held about criminology – researchers with a degree in other disciplines of social sciences (as well) appeared on the staff (psychologists, sociologists, historians). 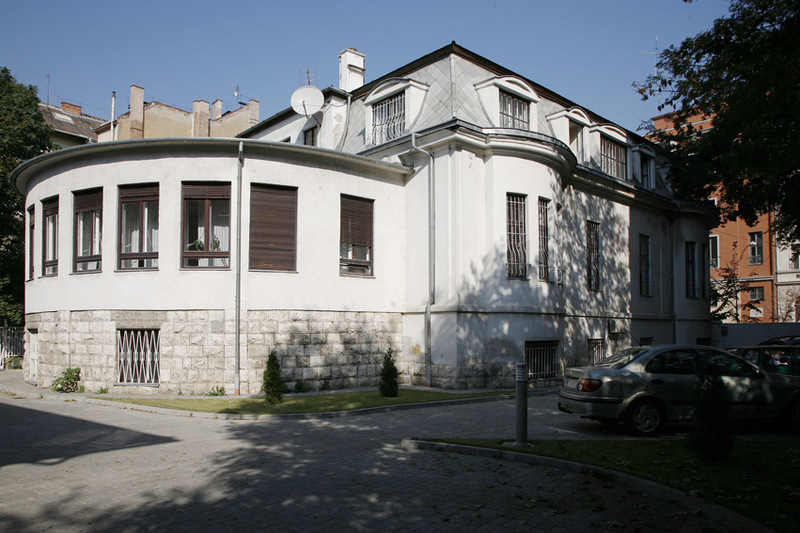 During the ten years of his leadership, the Institute became the greatest criminology research base in Central-Eastern Europe. In the list of research topics, structured and renewed according to the requirements of the age, an increasingly greater emphasis was laid on empirical studies, electronic data processing and the application of modern research methodologies. It was in this period that a kind of managerial approach appeared in the management of research in the Institution: the importance of acquiring outside resources, now essential for the continuation of research, as well as the importance of Hungarian and international research grants and research co-operation, became obvious. The growth and the changing nature of crime pose new challenges for the Institute, headed by György Virág since March 2006. These challenges require a modern criminological research basis that is built on the traditions of half a century and is operating in conformity with international standards. In order to accomplish this, the purpose of research in the Institution is to develop theory, to come to know crime more fully and to achieve such results concerning crime prevention and coping with crime that can be used in practice. Since February 2012 the Institute has been managed by György Vókó. The research staff of the Institute pursue modern forensics relying on previous experience, in compliance with the research requirements of the prosecution service in the 21st century and focusing on the services of the acting experts.